I have no idea. 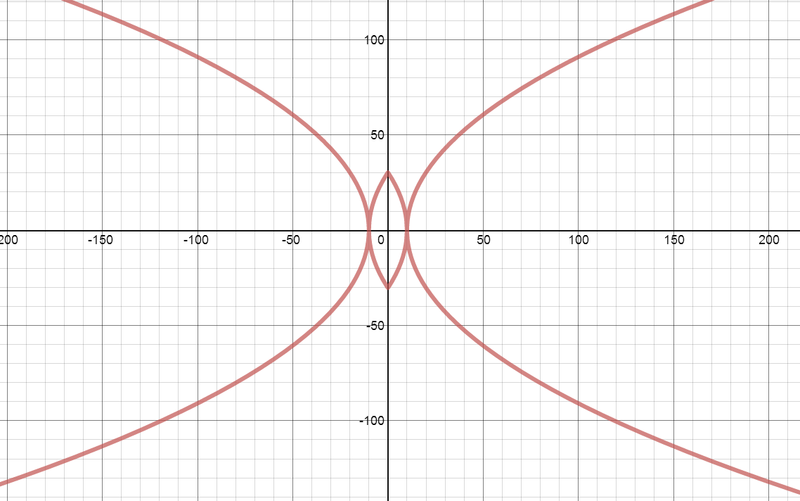 I think it’s hard, but the truth is that I just make these up, and discovering a cool graph is very different than discovering its equation. Whole other beast. I made this graph using a slider. (Actually, four sliders.) 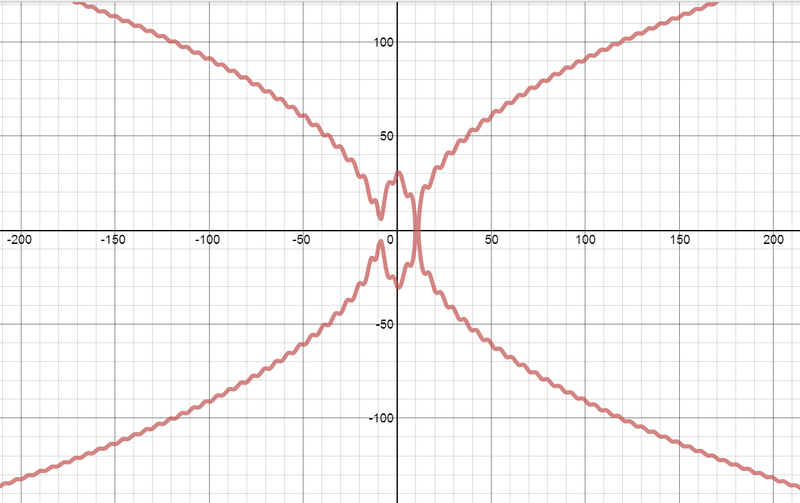 I’m going to give you snapshots of the graph for different values of one of those parameters. Happy hunting! 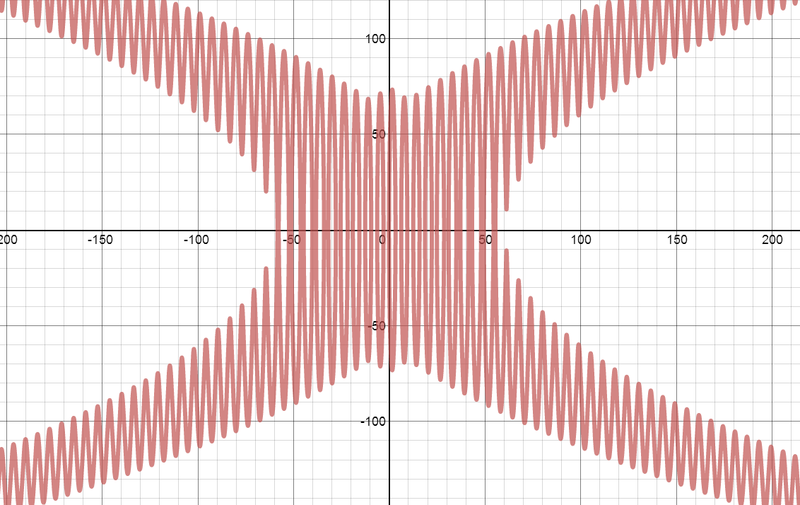 Drop a comment if you find something cool on desmos.com or something else. 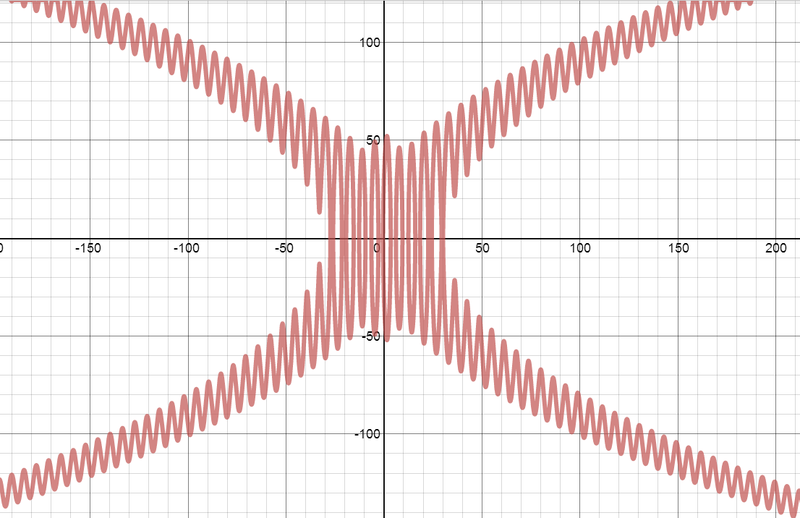 Um, so I accidentally deleted my equation, so I’m in this with you guys. Oh, phew! Found it again. OK, yeah, this is very close. But I didn’t use a sqrt function in my graph. Or at least I’m close.